← Research Tip #5: Take a multidisciplinary approach! After having killed off the popular detective Sherlock Holmes and effectively ending the series, The Hound of the Baskervilles marks Sir Arthur Conan Doyle’s return to the Holmes storyline. The story follows the characteristic Sherlock Holmes crime pattern, introducing several mysterious characters and seemingly ambiguous clues that Holmes, using his powers of observation and deduction, unravels to come to a dramatic conclusion. 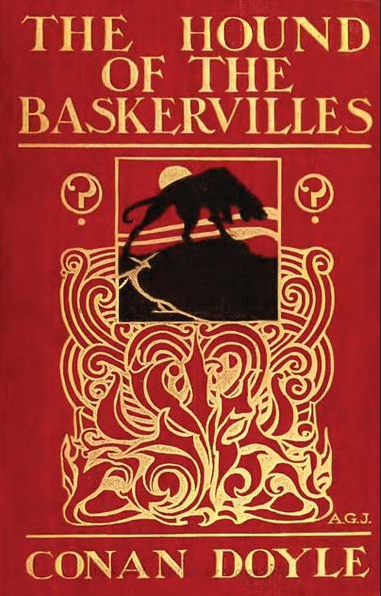 Baskervilles is arguably Doyle’s most literary work. It is also one of the most well-known Sherlock Holmes mysteries, undoubtedly due to its many iterations on radio, television, and movies. One needs to think only of the Scooby Doo cartoons to see the influence of the Sherlock Holmes method of deductive reasoning based on a series of clues and the use of a monster to scare away those “pesky kids” who would try to solve the mystery!